Today at work, my department had a luncheon, and one of my friends brought in a jello cake (that will be a recipe for another day). I started talking about coffee jello that my mom used to make. It was delicious. I love coffee and drink it black. My mom told me that Nana made it often. 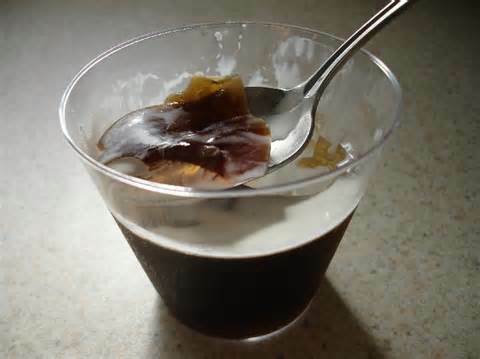 I remember my mom’s saying her dad loved coffee jello. It is easy to make, delicious, and low calorie! There are quite a few recipes on line for coffee jello. Below is one that I copied and slightly edited. Click here to see the original recipe that I copied. 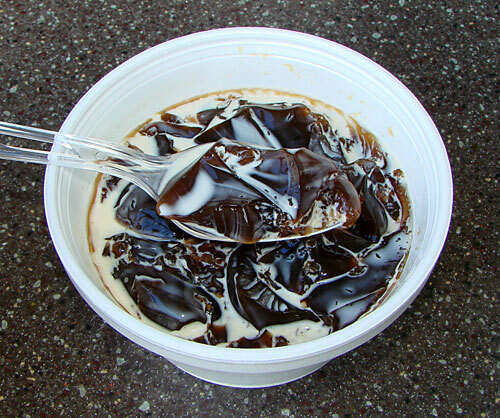 In a large bowl combine gelatin and cold coffee. Allow to sit 10 minutes to soften. Add hot coffee, sugar and salt; stir until the sugar is completely dissolved and mixture is clear. Pour into individual serving dishes and chill till set. The directions would be similar to the first recipe. Now I am hungry for coffee Jello! I don’t have any unflavored gelatin – so I guess I will just make myself a cup of instant decaf (disgusting – I know) – but any port in a storm.